I have an uneasy relationship with my mother. Perhaps this is true of many people, but among my close friends, I always seemed like the odd one out. I envy the people whose mothers are their confidante or close friend or basically anything that doesn’t involve disapproval 90% of the time and indifference the other 10. I’ve tried confiding my romantic interests in her ever since the first crush, but she usually manages to use that information against me (“He’ll never like someone like you,” “You’re not allowed to date,” “He’s not good enough by my standards and I don’t care what you think,” etc. ), so I put an end to that just this week. I don’t know when it started. Perhaps it was after my brother was born. (I was 7.) Perhaps it was after I entered middle school and it became clear that I wasn’t going to reach my mother’s expectations, a shortcoming she has frequently reminded me of. There have been so many emotionally destructive instances over the years that when my mother actually acknowledges my wish to be a writer and urges me to write some kind of memoir, I just chuckle wryly to myself and think, yes, but I wouldn’t allow it to be published until after you pass, because you’ll probably be horrified by my memories of you. I always thought to myself, well, we’ll get closer when I get older. When I have a job. When I’m successful. When I’m good enough. Then, maybe, we can talk. But what if it’s too late? The mother of a guy at church was in a horrible car collision last week that put her in a coma and required emergency brain surgery. She’s recovering well now, but life is just that fragile and unexpected. As a journalist, my goal is to tell other people’s stories — what if I never hear those of my mother? Her own mother died of lung cancer when I was 2. It’s a pity that I never got to know my grandmother. I have one photo of her, which I keep on my bookshelf. She looks like a kind woman, and as the youngest of four girls, my mother was most likely as spoiled as anybody in the lurches of Mao’s Great Leap Forward could be. My mother always spoke fondly of her mother. I imagine that they were close, and I wonder if and when I’ll be able to experience that kind of relationship. A friend once asked me if I have daddy issues because my father has traveled for work for as long as I can remember, around the world for maybe months at a time. I was surprised, because that was the first and only time anybody had brought it up. After thinking about it, my answer would be a resounding no. I’ve never been boy-crazier than the next girl, and I’ve had healthy, functional romantic relationships so far. I’ve always known that my father loves me. What I have is just the opposite: mommy issues. It’s a bit tragic to admit, but one of my greatest fears is that I’ll turn out like my mother. (Pretty sure only deadbeat parents would enjoy hearing that.) Yet there are small things I’ve picked up that might not necessarily have originated from my mother, but make us alike nonetheless. For example, she has always liked painting her nails. I mean, she doesn’t do it to a crazy manicure addict’s degree, but she does like keeping a few bottles of pinks and reds around to decorate her toes. I remember being fascinated with her nail polish as a child, and once when playing with one, I accidentally dripped some onto the carpet. When she found out, she furiously forced me to kneel on the ground in the living room for an hour. (Never let it be said that my parents were particularly good at appropriate discipline.) So…yeah. There was that, but hey! 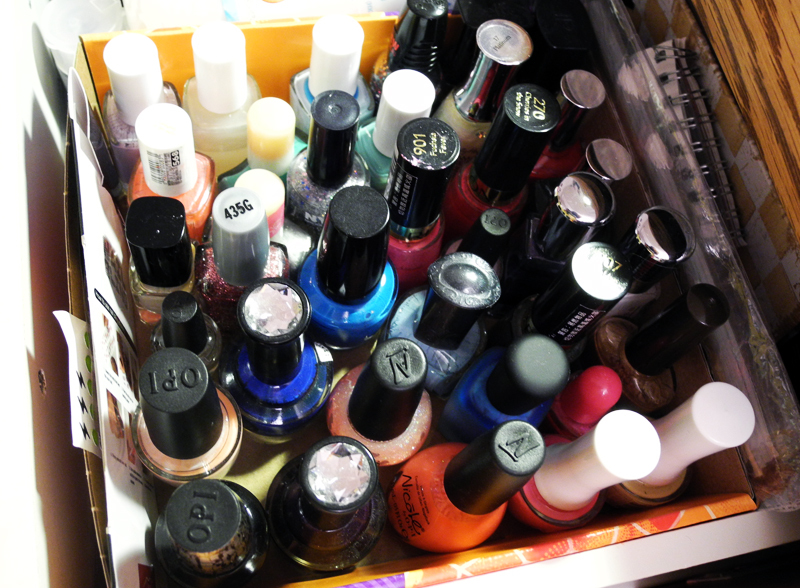 Nail polish buddies! When I peel back her scathing layers, my mother has a lot of qualities I would find cute or lovable if I weren’t so damn afraid of her all the time. I think it’s cute that she loves Jennifer Aniston movies. I think it’s cute that she inexplicably cheers for Lebron James (“I like him and I think he deserves a ring.” Uhh okay). I think it’s funny that she thinks 3D movies are “great.” (You mean money-grubbing and pointless??) I think it’s funny that now that she has a Facebook, she asks my brother and me for advice on things like tagging the photos she proudly posted. And I’ve always thought it was funny that she loves animal print and will sometimes wear clashing ones to church. But I’m barely scratching the surface of who my mother is. And as this is (God willing) my last summer at home before I go off to NYC and find out more about who I am, I hope to find the courage to hear my mother’s stories while I still can. Today, on my parents’ 25th wedding anniversary, I want to thank my mother for everything she’s given and done for me. This was an amazing post. You won’t be anything like your mom, for many reasons including the fact that she would never and could never externally process and write the way you do. I honestly never knew you were afraid of your mom (and still can’t imagine you to be now), and never thought it possible you would be afraid of anyone, except for yourself. I always found it weird and deterring when women are bff w/ their moms. The fact that you tried to confide in her about relationships is a surprise. I think it’s awesome you spoke to your parents so sparsely in college, and I wholly do not get the concept of speaking to one’s parents as frequently as B does. I hope someday you do get to hear some of those stories from your mom about her past. I’m always amazed that you think of her well when she has given you so much verbal and emotional pressure. I did wonder about the dad stuff, but somehow, it was never at the forefront of what you carry (like, wear on your person) as the lurking aura of criticism and negativity from your mom. I understand what you mean about wanting her to like you. I feel like other ppl will totally resonate with that, but they don’t have the internal freedom to articulate it like you did. I’m super excited for your many summers in life ahead. I’m super excited to see the Katy Perry movie in 3D. My mother has always been the disciplinarian, so our relationship was a bit fraught when I was growing up. After I left for college, we became more like your B and his parents, and even now I call her every night and go home every weekend. 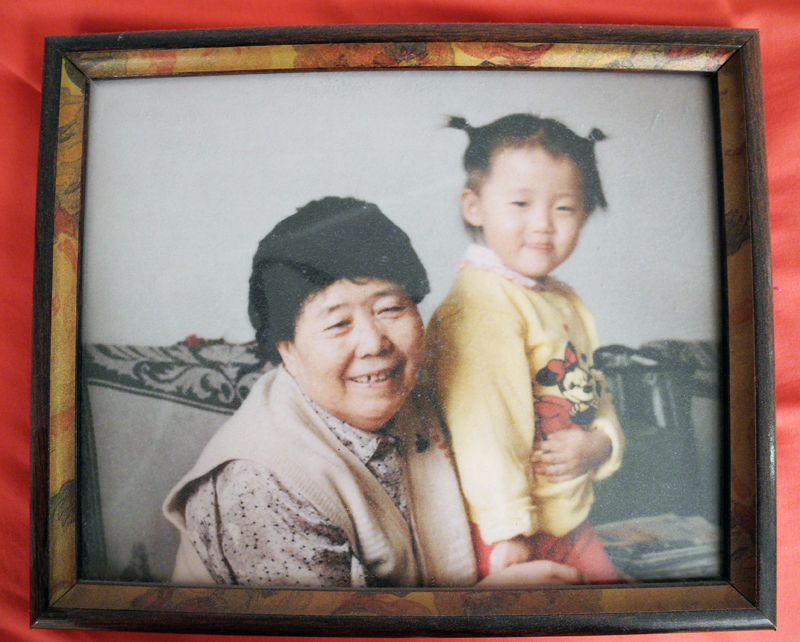 I think growing up it was hard because my mother’s very critical and I didn’t like to be criticised, like you. Our personalities don’t really mesh well; she’s even said that if we weren’t related by blood, we probably wouldn’t be friends. But separating enabled us to change: she treats me less like a child (there are still occasional lectures), I let some of the things she says roll off, and maybe most importantly, I stand up for myself more and tell her when I don’t like something she’s said or feel she’s being unfair. It’s still not an equal relationship, but I don’t think that’s where it ought to be either. My belaboured point is that I hope your mom sees your effort and responds. I took the first visible step, but the change in our relationship came from both sides. Good luck, and I’m looking forward to your move! You are currently reading Ode To My Mother at auradis.